The Point is a women’s non-profit organization dedicated to supporting local groups in the low country that focus on the needs of less fortunate women and children, those suffering with ill health, and those who are striving to repair the structure of their family. The Point offers financial support to the community by coordinating fundraising events and providing service by volunteering their time & talents. From our members, we require participation, dedication, & desire, and in return provide fellowship, fun, & flexibility while responding to the needs of organizations & individuals in crisis. L.E.A.R.N. Horse Rescue rescues and rehabilitates neglected and abused horses in need with the goal of placing them in responsible lifelong homes. 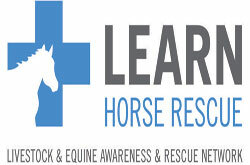 We utilize the rehabilitation, general care, and retraining of abused and neglected horses as a learning tool to educate our youth, owners and prospective owners in responsible and compassionate animal stewardship. The ultimate goal being to reduce or eliminate the vast numbers of abused and neglected horses through education and awareness.